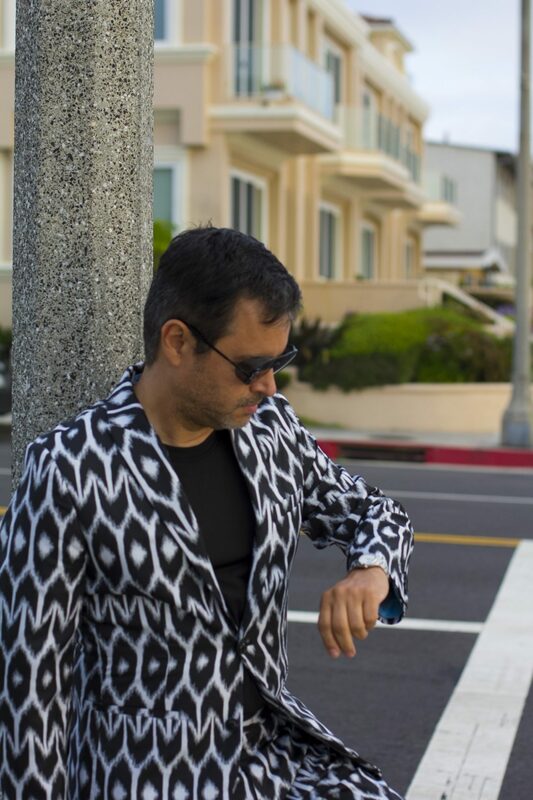 Did I tell you about that time when I received a men’s Ikat suit? If you know me, and you’ve seriously seen my Instagram where I wear lots of denim or multi-colored pieces, you’ll soon realize that I’m not much of a Pop-In-Your-Face head to toe ensemble. But, those suits you see on magazine editorials really catch everyone’s eyes. Including me! So, when Mr. Turk’s PR contacted me about styling a Mr. Turk men’s suit, I was like; yeah, let’s give it a go! Many guys are hesitant (man talk for “afraid”) to wear colorful suits. I’ll show you how to style an awesome suit like this one. First, you need to consider if the suit is a print or basic color suit. This one, is a print suit, but the way to style either is just the same, just switch the pieces around. With this Mr. Turk men’s suit, I picked a basic contrasting shirt and shoes. But, I went one step further by contrasting the shirt and the shoes. Here, you’ll notice I went with a black tee, and contrasting white shoes/sneakers. The tee brings all the attention to the suit, not the shirt. As for the shoes? You can go basic, or take it up a notch. You can also add more color to the suit by styling a white, blue, orange, or any other color top. If the suit was a one color suit, you would then just use a printed shirt to contrast the style of the suit. For accessories, I added black sunglasses (Philippe V), and a stainless-steel Rolex watch. I could have gone with one of my bigger watches, but I didn’t want to call attention to my accessories. In this outfit, the suit is the pop, not the accessories. Look at the Riviera in the back. That’s Palos Verdes to the right, and Torrance Beach, just behind me. And like they say in California “no beach out of reach”. This is why I love California so much. 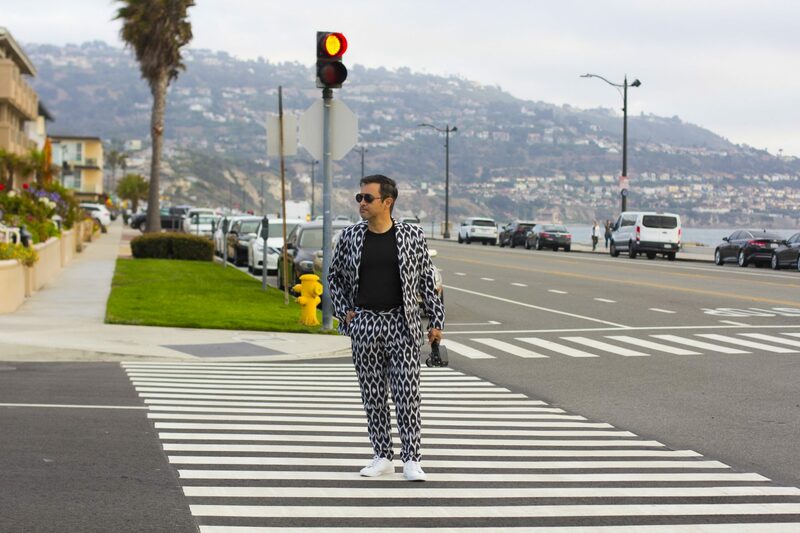 And this Mr. Turk suit goes well just about anywhere. Now that you see how fearless you can look wearing a Mr. Turk men’s suit, why don’t you get your own? Shop my look, below. 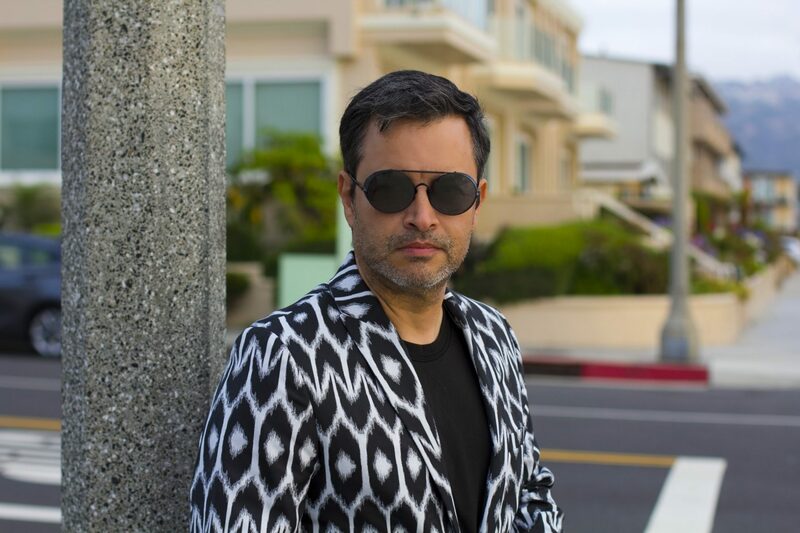 Mr. Turk has a new collaboration with Macy’s INC. Get it online, or visit your nearest Macy’s store and grab the Mr. Turk pieces before they’re all gone. If you have any special suit tips, let me know. I’d like to hear how you style yours.